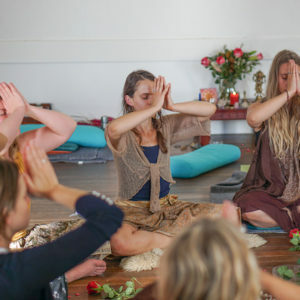 My experience of being at one of Jasmine’s events, be it a Shiva-Shakti flow class, a women’s half day retreat, a tea ceremony or a full moon fire pit gathering, the words that come to mind are NOURISHMENT and CONNECTION. On top of all the amazing events and classes she offers, this beautiful woman with her naturally maternal ways can cook divine delights and make a mean chai! You could simply attend the events to experience being in nature and nourishing your soul with food and tea prepared for you with love. 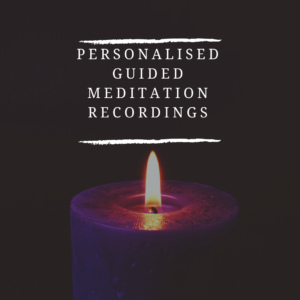 When you choose to spend the time, you will discover that Jasmine has the ability to guide people in a gentle yet powerful way to connect to stillness or fire within, which in my personal experience feels completely freeing, spacious, open and grounded. 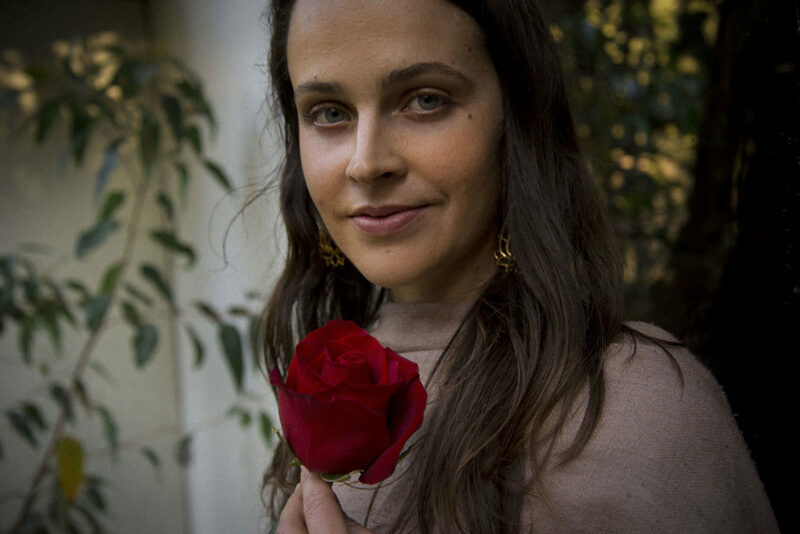 I’ve known Jasmine for a few years, as a dear friend and yogini companion, and I can say with all of my being that her intention for supporting people to receive this deep nourishment and connection within and with the world is pure, authentic and comes from a place of love. Thank you for being a beacon of light, igniting our hearts with your feminine essence and earth wisdom, and assisting us to nourish all layers of our being and connect to our truth within. Jasmine’s heart and her intention for her work is to see her sisters (and collectively the world) to rise up into their Sovereignty and Divine Essence. She is a woman who walks the talk and lives her life from a place of truth. Being in the presence of Jasmine is a fount of peace, sensuality and pure Shakti force. She is a force to be reckoned with. She knows and is known by the Goddess intimately and her boons are the boons of the Goddess. Her heart is big and wide and continuously expanding to meet her sisters in a place of pure love, acceptance and heartfelt recognition. It is with deep admiration and love that I can recommend all and any of her offerings. Jasmine is a Goddess and I am so blessed that our paths aligned. Every time I receive teachings from Jasmine I am struck by the absolute powerful presence of a soul who is gifting us ALL of who she is in EVERY moment. I love her embodiment of the feminine, her authenticity and the sacred space she holds for others to be their true authentic self. There is a deep wisdom in Jasmine that extends beyond this lifetime; a feeling that she is truly living her calling; yet the humbleness of her teachings allow you to feel you are journeying as a sister beside her and she is also learning from you. Spending time with Jasmine will expand you, uplift your soul, and remind you that you are a beautiful woman who walks this earth with a community of like-hearted sisters. The new-moon Shakti circles facilitated by Jasmine are absolutely gorgeous, rich, healing and nurturing experiences. Each time I have attended one, it has given me and my life a little reset, a breath of beautiful fresh air, clarity and peace that surrounds me for the following days and weeks. Jasmine is a brilliant facilitator. Such a unique, gentle, inspiring, intuitive, subtle, yet powerful woman. She supports and honours every woman in the circle, and expertly intuits and holds a beautiful, nurturing and transformative space. 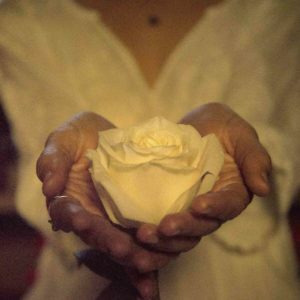 Jasmine’s Shakti circle has changed the way I view myself and other women. It has opened doors for me to discover and experience deeper layers of mySelf that I was unable to grasp by only practicing yoga asana and meditation. 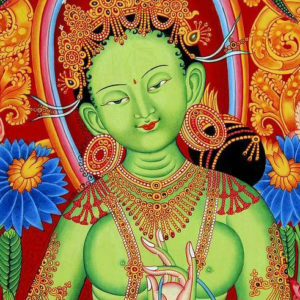 Upon entering the temple, I felt a wave of peacefulness wash over me and the vibrant Shakti energy was ready to be awakened. This feeling continued to flow through my body and into my life for days afterwards. Jasmine carefully weaves a beautiful evening full to the brim with ways we can connect with that deeper part of ourSelf. If you desire a deeper connection with your feminine energy and power, and also crave communion with other women who also feel the same way in a safe and nurturing environment, then this is for you! These beautiful gatherings of women are gentle and yet powerful. I experienced such a deep healing within myself; an awakening of sorts. Through the process certain truths were revealed which prompted me to make changes necessary to live in greater alignment with my truth. Thank you Jasmine for providing this sacred space! Jasmine’s heart and soul are at the altar of her retreat. She embodies the practice of yoga and gently echoed this through the thoughtful, purposeful and considered planning and delivery of this retreat. Unafraid to dive within the depths of her own soul and her own practice, she tenderly encouraged the same from her students. 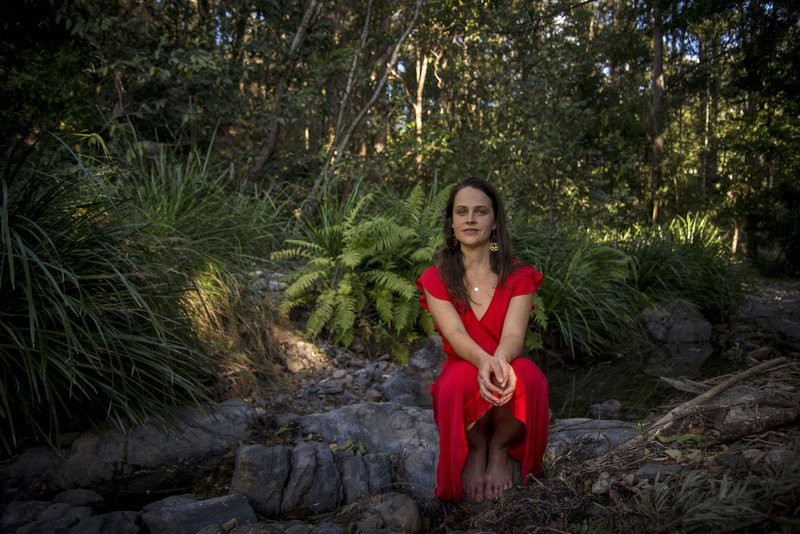 The afternoon spent in the lush surroundings of her home, her temple – provided an inspiring backdrop to move through a physical, emotional and soulful practice of yoga whilst serenely accepting a journey of self reflection and surrender as the afternoon unfolded. 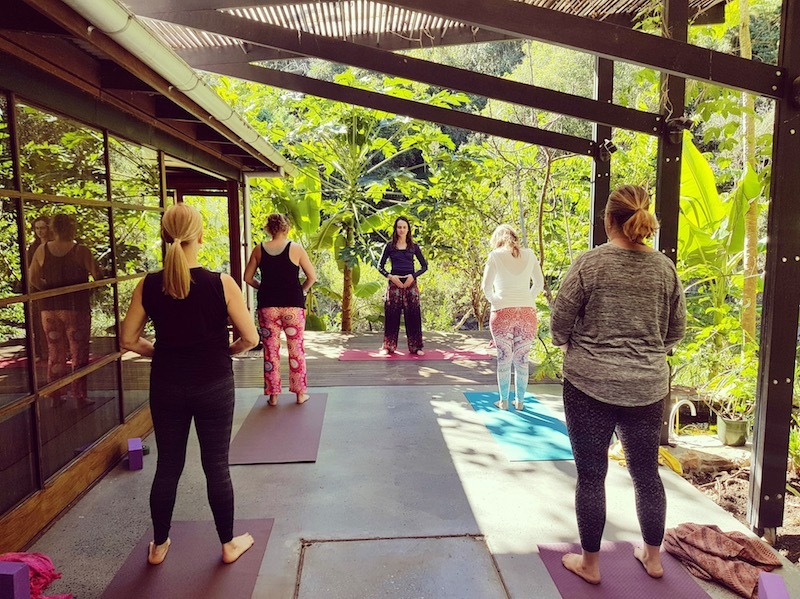 This retreat provided a beautiful balance of yoga, mindfulness, creativity and sensory awakening as something truly ‘divine’ opened a space for 10 beautiful women to connect with their intuition, themselves and within the raw beauty of one another. Thank you Jasmine! The grounded retreat was peaceful, nurturing and gently powerful. The environment and Jasmine both are so welcoming, providing a gentle and steady support throughout the day, and it was almost effortless to sink into the connection with earth. 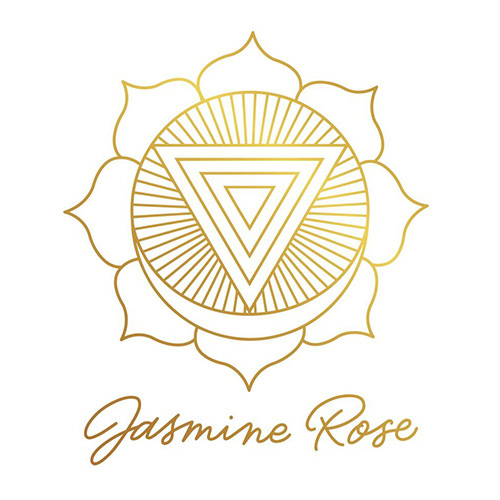 Jasmine’s unique yoga retreats and classes provide me with a heart opening soulful experience, a pure joy, an incredible yoga flow in environments that are both blissful and nurturing. I feel blessed that I have met such a wonderful soul who teaches me the importance of internal balance. Jasmine’s yoga in nature retreats always bring me home to myself. Arriving up the drive, breathing in the fresh air and stunning scenery, my shoulders relax and I can exhale knowing I can devote the time to fully letting go and relaxing. Jasmine is welcoming and her style of yoga is nurturing and intuitive. Her sequences are always heartfelt and you leave floating on a blissed out yoga high. Meeting other like minded yogis and sharing a scrumptious meal at the end is a highlight too. As are the chai and bliss balls!! This short break is like a short sacred space within a weekend. The perfect top up of yoga, nature and silence we all need to reset ourselves to deal with the busy-ness of everyday life. Jasmine provides not only a luxurious practice in beautiful setting, but gorgeous snacks and food so you leave feeling completely nourished in absolutely every way. Sincere thanks for a wonderful retreat yesterday afternoon. I had a truly inspiring time,I can’t believe it’s been a whole year since I last joined you. I particularly enjoyed the Winter Solstice ritual and I feel lighter, more focused and ready to face the next six months with clear intentions. I could actually feel what I wanted to release moving away from me when we were chanting- Amazing!! Thank you also for the delicious meal, chai and slice. I felt very fortunate to be there yesterday, as always you are a true inspiration to me and by far my favourite teacher in all things yogi. Whatever you need – Jasmine will show you the way. Her half-day retreat will cleave open your heart, ignite your passion, stir your soul, feast your senses then nourish you body & mind. 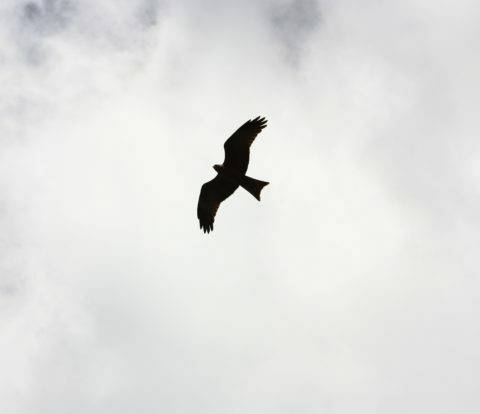 I have often arrived flat, sad or frustrated then floated out energised, joyous and exhilarated. Thank you Jasmine. As soon as you step out of your car, you are met with nature in abundance, rustic and earthy surrounds and 5 star trimmings. Jasmine’s gorgeous and welcoming presence greets you at the onset and graciously supports you through your experience. The retreat is a perfect way to completely break away from the busyness and stresses of daily life. My experience was one of not only connecting with other beautiful women, but reconnecting with my self, quietening my mind, rejuvenating my body and nourishing my soul. I highly recommend any opportunity you have to work with Jasmine, her passion and knowledge within her art of yoga is exemplary and her quest to share that knowledge with others is a joy to be held. Treat yourself, the rewards will be plenty! Jasmine’s yoga classes are relaxing, challenging, spiritually uplifting and thoroughly enjoyable. I arrive anxious and agitated and leave floating. 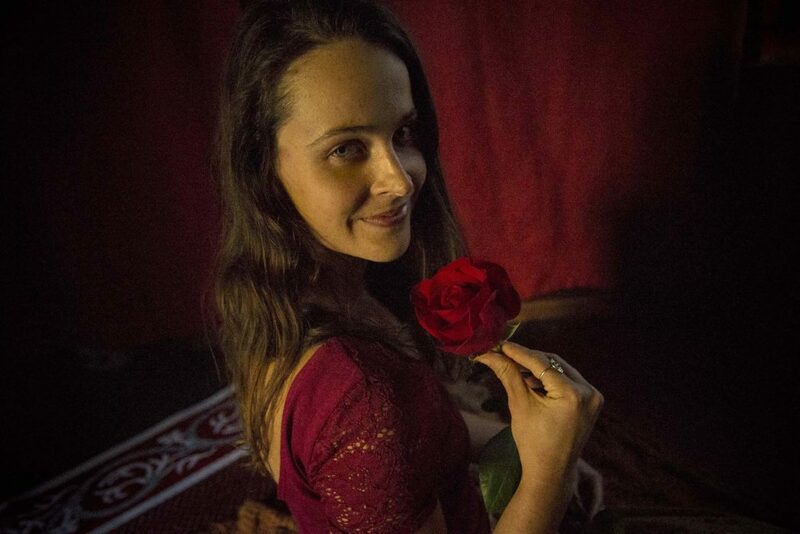 She inspires me not only in yoga and meditation practice but with her calm, nurturing and accepting manner. Her chai tea is also fabulous and a lovely treat at the end of our session. Thanks for being a part of my crazy life. I took private lessons for about a year with Jasmine and was absolutely blown away by the impact it had on my body and mind. I felt incredibly uplifted and happy. Her teaching is outstanding. I can highly recommend Jasmine to everybody who is looking for relaxation, mental space, peace and change in life. Jasmine’ classes are beautiful, innovative, joyous and nourishing. Jasmine always seems to know what I need before I do! Her classes always leave me feeling energised yet relaxed, nurtured but strong in myself, and restored yet invigorated. Jasmine has a way about her that makes you feel at ease very quickly. I have found yoga both challenging and rewarding. 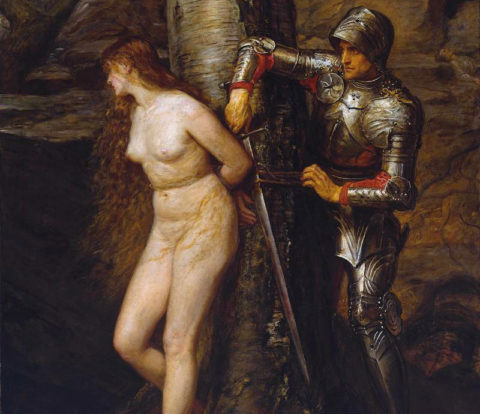 When it is challenging she will gently modify and help you adjust your position to both a comfortable one and at the same time prompting more awareness in yourself. The constant interplay of body and mind is seamlessly presented in Jasmine’s style and I feel in the short time I have practiced with her I have felt a keen exploration and richness in my personal yoga journey. I first experienced Jasmine’s particularly gifted yoga teaching when she was temporarily covering for a huge class at a gym. Her insightful explanations of poses and deeply satisfying exploration of body and mind in savasana was so enjoyable and fulfilling I gave myself the pleasure of joining her permanent classes. Jasmine’s intelligent understanding of the benefit and power of yoga practice is transmitted with joy, love and humour in her classes. I am thoroughly addicted to benefiting from her teaching and continuing my own practice in her safe hands. I really appreciate all of your help and guidance and I can definitively say that your yoga course has made me a better, happier, more content person. I practice every morning before work and every evening when I get home and feel infinitely more calm with virtually no panic attacks or anxiety issues. Yoga is amazing and I thank you for turning me into a yogi! I have been practicing yoga now with Jasmine weekly for the past year. This week I ventured to Brookfield and practiced the most energising but calming yoga experience I have ever had. The setting was perfect on a deck overlooking a creek surrounded by native vegetation and wildlife. This was followed by some delicious chai tea. Can’t wait to try the retreats Jasmine has planned! Highly recommend the venue and teacher!